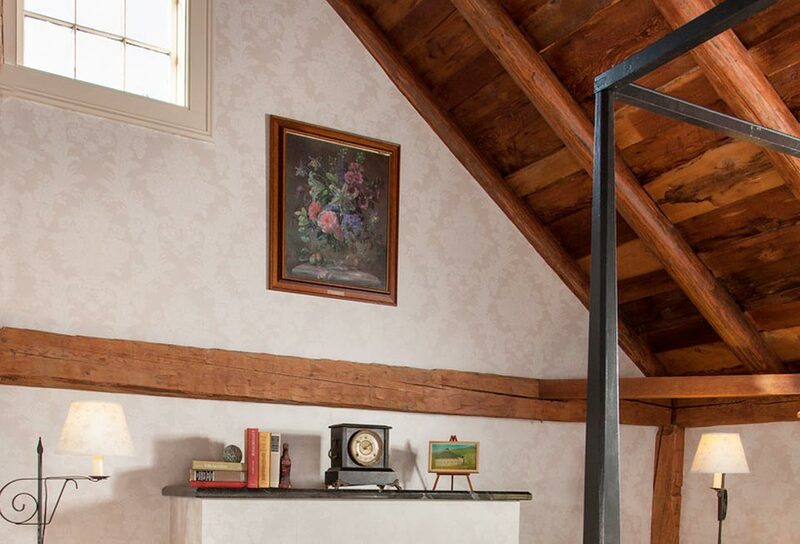 A Vermont, handmade four poster tall queen-sized bed with a tufted, upholstered headboard takes center stage in this classically romantic Vermont bed and breakfast guestroom making this the ultimate romantic Vermont getaway. 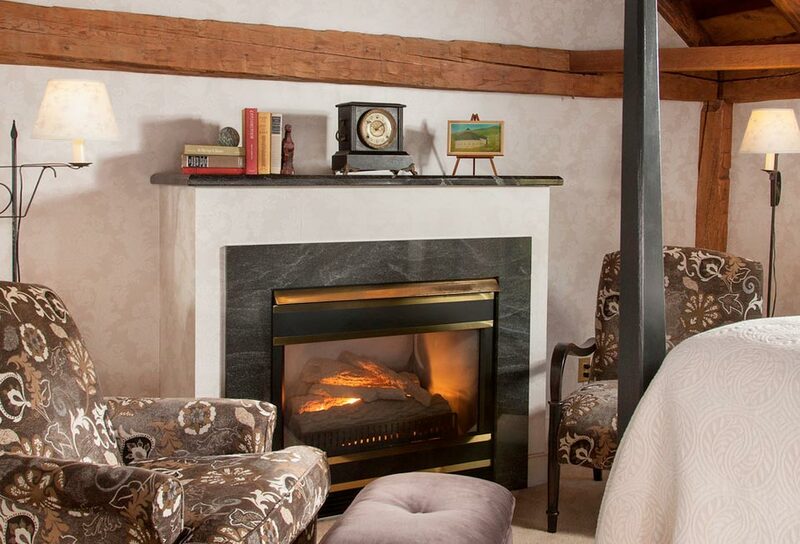 Overstuffed chairs beside the gas fireplace offer a cozy respite to finish your novel. Expansive windows provide a view of the terrace and gardens. The private bath features a glass enclosed shower. 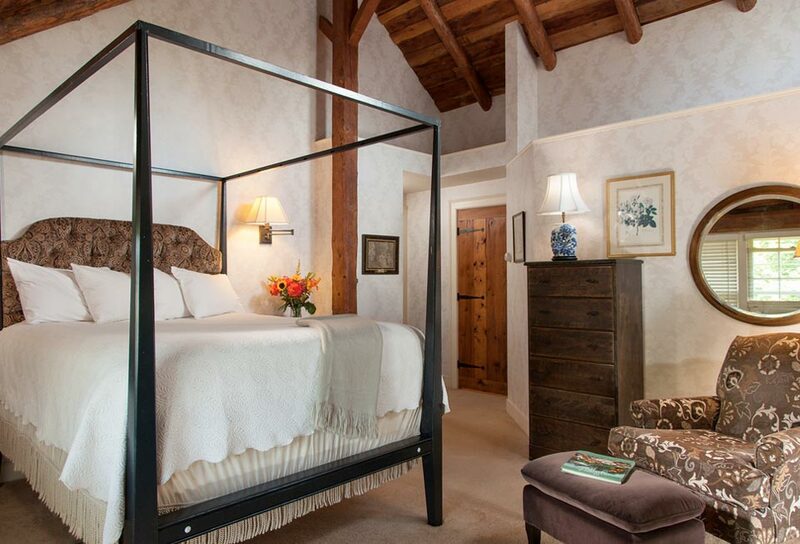 This room offers wireless Internet access. 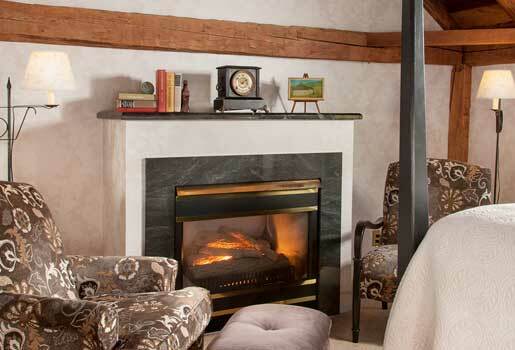 Enjoy Vermont lodging at its best. Enjoy the cooler weather and amazing fall colors with these Autumn packages! Winner of the Best of New England Travel "Best Winter Retreat" in New England Travel Magazine.